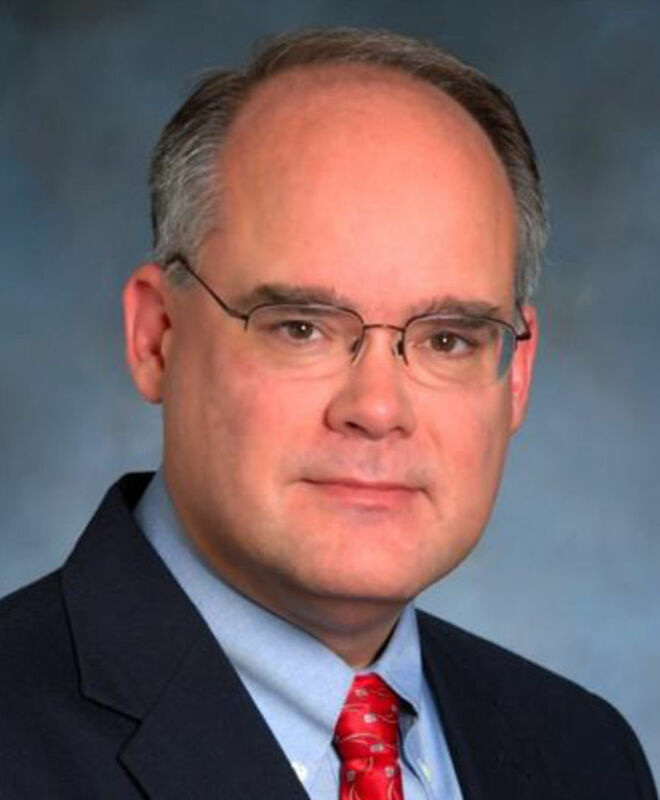 McALLEN — News about the selection of a new dean for the fledgling University of Texas Rio Grande Valley School of Medicine broke Thursday afternoon and now the institution is getting ready to turn another page with new leadership. Dr. John Krause, who hails from Temple University in Philadelphia, is expected to fill the position starting July 1. The Monitor spoke with him about his expectations for the new role and his preparation. What caught your attention about the position at UTRGV? It’s very unusual for a new medical school to get off the ground. There are only about 140 medical schools in the country and there are very few that are starting. And when they do, it really presents an opportunity to work with the community to teach young adults, to develop new doctors, to look at the needs of the community, to enhance the health care of the community, to build relationships with institutions and with physicians and nurses. I think a medical school is a catalyst for education in health care, for improving access to care and for care, for identifying problems in the community and addressing those. So when I saw that this was a new medical school in an area where there was such enthusiasm about it, it was a natural. My background, what I’ve always done is that I like to be a builder. I like to go in and see where I can effect some growth, see where I can help the people in the institution and the community to develop programs into what they envision. What are some of the main challenges of establishing a new institution that you are preparing for? During the visits that I’ve had, people ask “What is the greatest challenge? What is it that is the priority?” And I always say it’s the funding, it’s the finance. If you are going to do anything successfully you need the appropriate financial base to get there and I’ve certainly been following the budget discussions in the state legislature and following that with the same degree of anticipation and a little bit of anxiety as everyone else. It’s critical and even more critical in a new institution that does not have a full class in place yet. Without four years of medical students, your funding is somewhat less than if you have a full cohort across all four years. You need startup, you need operational funds early on in order to assure that you are going to be able to institute and administer programs effectively. I think the institution has been very proactive. I know that Dr. (Guy) Bailey and others have been in Austin on a weekly basis… I know the local community — Sen. Hinojosa for example— have been very involved in trying to secure the needed funding. I think those are the kind of things you need to do, you need to work with the legislature and with the local leaders in the community to build a partnership where everyone realizes that funding is important and everyone sees the medical school as a community resource. What will be your role in overcoming these challenges? I see my job in many ways as being the person to reach out to all of these stakeholders, to really be the communicator, to articulate a vision for everyone, to bring everyone on board, to have them come to the medical school to see what we are doing, to work with the partner hospitals and institutions who provide healthcare in institutions who provide healthcare to the community. All of them want to see the medical school succeed. It brings value to all of them, so we just need to work together to make sure that happens. And it’s got to be a public-private partnership in order to allow the medical school to be effective. What is your vision for the school of medicine so far? Like I said, a medical school really is the catalyst. It’s the focal point for bringing attention to health in the community. I think we need to work with the community to see how we can address healthcare issues. With obesity and diabetes, for example, are common in the population and we have the center in Brownsville that’s doing research there, but can we leverage that? Can we really take what they are learning and work with the community in bringing innovation and outreach in obesity and diabetes care? How can we take care of women who have limited access to prenatal care to assure that their children are healthy at birth? How do we provide primary care services to the community where they might not be able to easily be able to get into a provider? In the Valley there are fewer physicians per population than in many parts of the country, so how do we build a healthcare workforce that allows the quality of care to be optimized and the access to care? So I think one vision is really: how can we work in partnership with the community to optimize healthcare delivery in the community. And from an educational standpoint, how do we get children that are coming up through education and get them interested in health careers, not only in medicine, but in nursing, as physician assistants, as healthcare providers and in all the related services. How important is the aspect of research in this vision? It’s absolutely critical for a variety of reasons. Research brings innovation; it brings new thinking to a medical school. The researchers themselves think about approaching health in different ways. It’s important from a funding standpoint. Certainly with innovative research comes funding both from private institutions and from governmental sources. And then research spurs what’s called translation. How do you take what you’ve learned on the lab and bring it to the community? It should be iterative in that sense. That you learn things in research, which will help you change clinical practice, which will help us care for people in the community, which then raises new ideas for research, questions you want answers.